When do birds migrate south? The fall migration is in full swing right now at least where I live in Northern Kentucky. Depending on where you live yours could be either earlier or later. Around early to MID JULY the shorebirds (i.e. 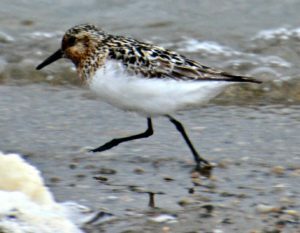 sanderlings, sandpipers, plovers, and more) start their migration. They will continue to migrate up through mid October. My husband has been watching shore bird reports daily since July via Ebird and local Facebook Groups who report on bird sightings in our area. When birds that he wants to see show up somewhere we drive to take a look for ourselves and get photos if we can. In just the last few weeks there have been Pectoral, Baird’s, and Buff-breasted Sandpipers and a Semipalmated Plover that we have traveled to see over in Ohio. More shorebirds are still to come. Early in AUGUST hummingbirds more north begin their long journey back to Central America. The males leave first with the females and juveniles following a few weeks later. You probably have noticed more hummers (Ruby-throated) at your feeders. Right now it could be the same adults that have been there all summer along with their young but as time goes by it will probably be new hummingbirds stopping by to refuel as they migrate further south. These birds stick around for about twenty four hours up to a couple of days then they move on. 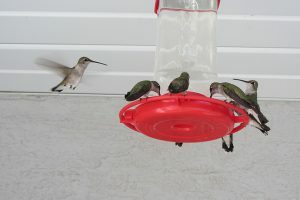 So it is just a steady stream of different hummingbirds coming through until they are all gone (early to mid October). 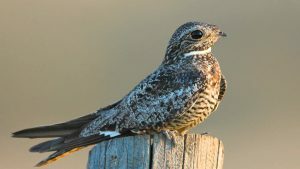 Around LATE AUGUST you may have noticed Nighthawks starting to pass through. We have seen quite a few pass through at dusk. So watch for them in the evening hours. They are neat to see. Then early SEPTEMBER the warblers start their migration. As of last week there were hardly any showing up in our backyard nor any being reported on the birding sights that we use. Then last weekend came the heavy rains from Hurricane Gordon in the Gulf Shores. 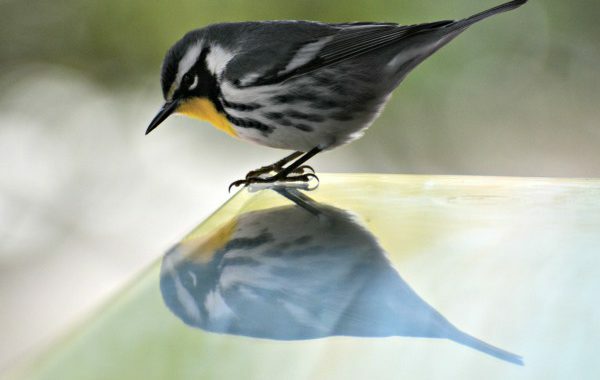 Birdwatchers knew that once the rain was supposed to end (late Sunday), that there was a great possibility that there would be a fall out of warblers on Monday. That is because birds like to move when conditions are favorable. And you know what? They were right. People have been reporting numbers of Redstarts, Magnolia, Black and White, Nashville, Tennessee, Golden-winged and Blackburnian Warblers all over the place. That is not to mention Vireos, Thrushes, Flycatchers, and Rose-breasted Grosbeaks too. It is a fun time to be watching for birds right now and it will continue on through the month into October. So keep an eye on the birds in your trees. It may be a migrant passing through. OCTOBER through NOVEMBER brings shorter distant migrating birds such as wrens and kinglets and the waterfowl begin to move at this time too. Every bird species has its own schedule as you probably have figured out by now. Their inner clock and hormones play a big role. Their hormones trigger them to eat more which helps them to build fat for their long journey ahead. Weather changes, atmospheric pressure, and a change in daylight hours are a big part of this too. Food supplies also begin to dwindle such as insects which also is a trigger that it is time to leave for the insect eating birds. How Far Do Birds Migrate? Not all birds fly the same distances. There are birds that stay within the United States and Canada (year round) during the winter months and only fly short distances. Then there are the neotropical birds, which are birds that breed in Canada and the United States during the summer months but spend the winter in either Mexico, Central America, South America or the Caribbean islands. Many of the neotropical birds can fly round trip up from 13,000 to 16,000 miles in their migration. The bird that flies the farthest is the Arctic Tern. In a year’s time it flies up to 49,000 miles, flying to the Arctic which is their breeding grounds then back to the Antarctic where they spend their winter. What Time of Day Do Birds Migrate? Some birds fly during the daytime hours such as hummingbirds, swifts, swallows, pelicans, and herons. Other birds leave just after sunset and fly through the night. These are the waterbirds, buntings, orioles, flycatchers, thrushes, cuckoos, and warblers. Interesting Note: Many birds that migrate in huge numbers together like the swallows, can be detected on radar. This is how ornithologists are able to track their migration. How Do Birds Know Where To Go? Birds can use the sun, the stars, and the earth’s magnetic field to guide them. Birds also rely on the same migratory path that they have used before. They follow the landscape and use certain sounds and smells to help guide them. This is according to some ornithologists. For example, in the hummingbirds case, they have been known to return to the same feeding grounds year after year. Hummingbirds also return to their same breeding grounds year after year. How is this known? Bird experts band birds to be able to observe their behaviors. Other species of birds are banded for this same purpose. How Can You Help With Migration? 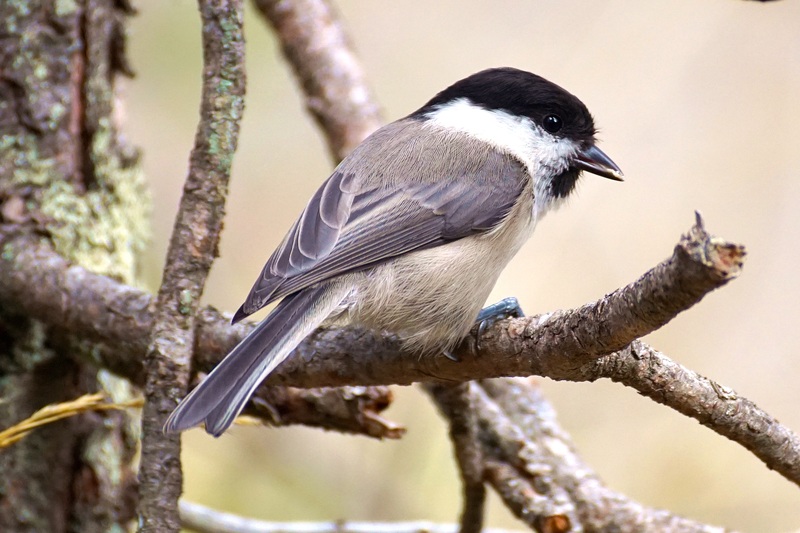 During migration time be sure to keep your bird feeders replenished because birds may be dropping by for refueling before they continue on their long southward journey. This includes hummingbird feeders. My husband and I check our hummingbird feeders every day to ensure that there is plenty of nectar for them. We actually change our recipe from one part sugar/four parts water to one part sugar/three parts water just to give the hummers extra energy. We also are keeping the meal worm feeder full for the warblers passing through. Apparently the Carolina Wren and the Tufted Titmice do not mind this either as they happily come in to feed at it too. 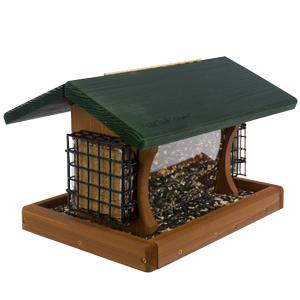 The benefits of all of this is that you will get a variety of good birds coming in to your feeders which is a treat for you. Just keep in mind that some birds may be harder to identify this time of year because they are not in their breeding colors or are juveniles. It is always good to have a good bird book handy if you want to know what you are looking at. It’s that time of year when birds have started migrating southward back to their winter homes in Central and South America and Mexico. 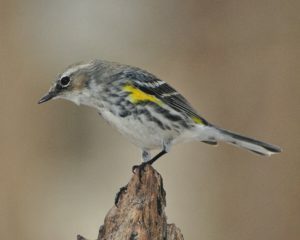 Look for them at your backyard feeders or moving about in your trees feeding on insects (warblers). It is so neat to see all the different species of birds flying through as they drop down to refuel for their long journey home. So keep an eye out you won’t want to miss all of the excitement! Posted in Attracting Hummingbirds, Backyard Birds, Hummingbirds, Songbirds and tagged hummingbirds, migratory birds, shorebirds, warblers.